Deviled eggs are a fantastic way to enjoy hard boiled eggs. I love to make deviled eggs for a party. They are uncomplicated and inexpensive appetizer that can be put together quickly. I have never set out a plate of deviled eggs without the plate being returned empty. When I serve deviled eggs classic style I like to stick with traditional ingredients. Mayonnaise, dijon mustard, red onion, paprika and dill pickle relish lend their flavors to this classic dish. 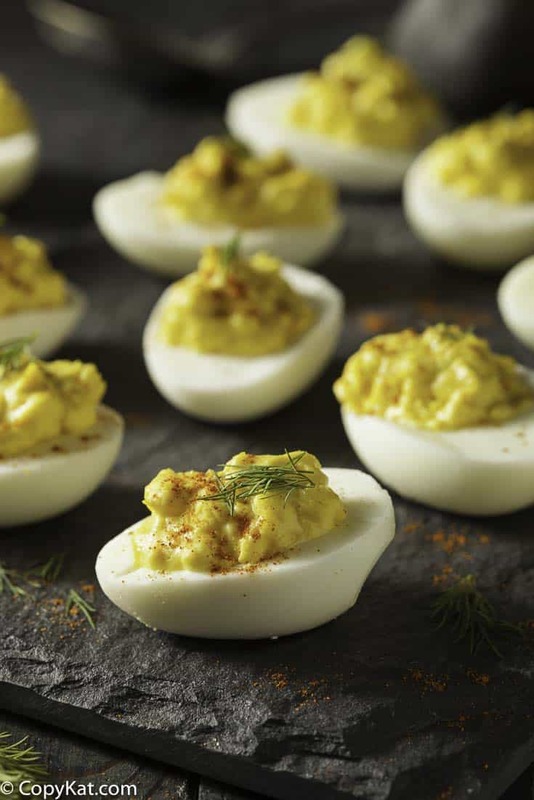 These deviled eggs are delicious for a picnic, family dinner, or even for an appetizer party. You can prepare deviled eggs hours or even a day or two before the special event. For me, the dishes you can prepare ahead of time, in fact, the eggs take on more flavor if you prepare them ahead of time. Please share what makes your deviled eggs unique. 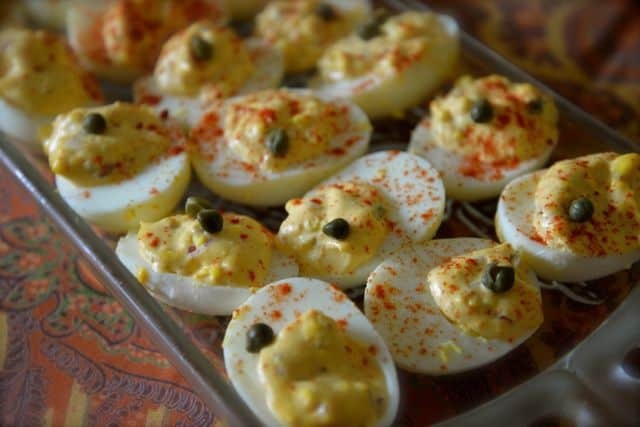 Do you use a particular ingredient or to make your deviled eggs extra memorable? One of my favorite upgraded deviled eggs are Truffle Deviled Eggs, just a bit of truffle oil makes classic deviled eggs so good. Classic Deviled eggs are easy to make and are perfect for picnics, served as appetizers, or a snack. Hard boil eggs if you have not already done so. Split eggs in half, and separate out the egg yolks. Place egg yolks into a medium sized bowl. Mince yolk with a fork until the yolks have a fine uniform texture. Mix in mayonnaise, mustard, red onion, smoked paprika, and dill pickle relish. Stir until well blended. Spoon mixture into egg white shells. Sprinkle with paprika. Top with capers if desired.